Dr. Memory, former Ohio State basketball player, Jerry Lucas, will be at all three services at Faith Presbyterian Church, Cape Coral,on Sunday, Jan. 17 (8:15 AM, 9:30 AM, 11:00 AM) to speak on his personal path to faith and will share a message entitled “Improving Family Relationships”. Mr. Lucas will also be teaching a session that evening at 6:00 PM on “Learning Made Fun and Easy” and on Monday, Jan. 18 at 7:00 PM called “Names and Faces Made Easy”. No reservations are necessary however for more information visit www.FaithCapeCoral.org. Famous first in basketball, he was a nationally-awarded high school player, national college star at Ohio State, and 1960 gold medal Olympian and international player before starring as a professional player in the National Basketball Association. 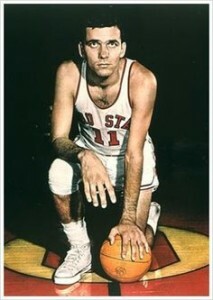 As a collegian, Lucas led the Ohio State Buckeyes to the 1960 college national championship and three straight NCAA finals. He remains today the only three-time Big Ten Player Of The Year, and was also twice named NCAA Player Of The Year. As a pro, Lucas was named All-NBA First Team three times, a NBA All-Star seven times, was 1964 NBA Rookie Of The Year, and was named Most Valuable Player of the 1965 NBA All-Star Game among other honors and awards. After his basketball career ended in the mid-1970s, Lucas took to becoming a teacher and writer in the area of image-based memory education. His book written with Harry Lorayne, The Memory Book, was a national best-seller. 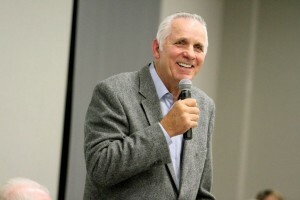 Lucas has also conducted seminars demonstrating memory techniques, and has written 30 books and educational products and games for children. He is known today as Doctor Memory.